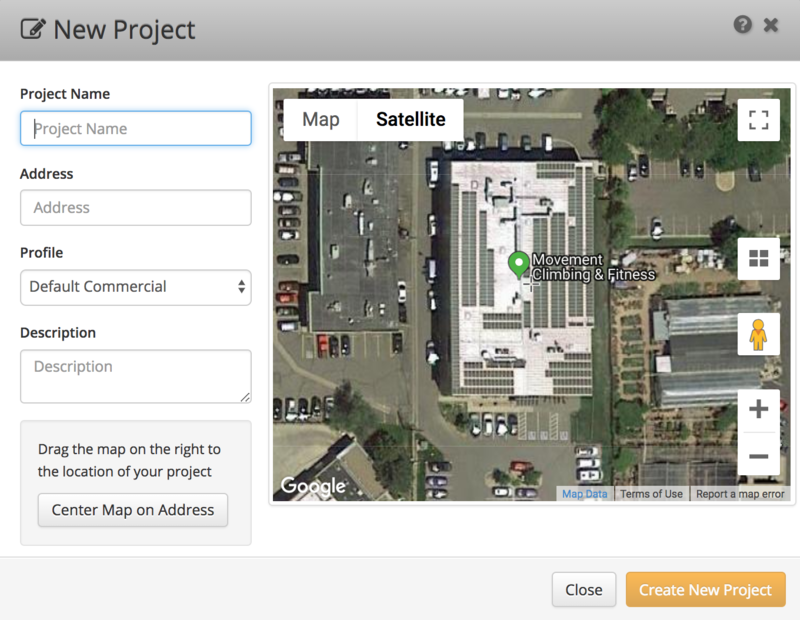 HelioScope enables Project Profiles to automate common design styles. These Profiles can be set as a user’s default, or selected when creating a new Project. This video and article below describe how to create and use Project Profiles. Keep in mind that Profiles in HelioScope are applied at the Project level, but each Project Profile is made up of a mechanical, electrical, and Condition Set profile. These more detailed Profiles define the actual assumptions used in new HelioScope Designs & Condition Sets. Under the Profiles tab you will see 5 sections: All, Project, Mechanical, Electrical, and Conditions. 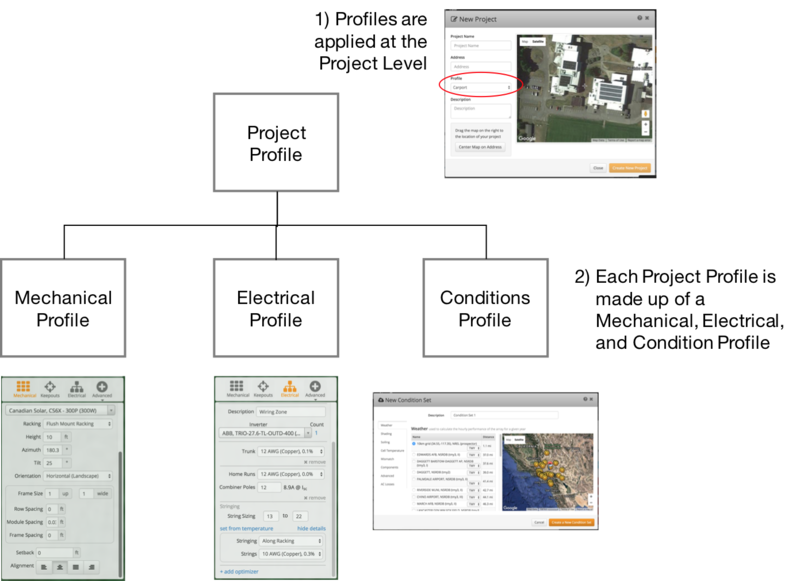 You will create a Project profile, which is made up of one Mechanical, one Electrical and one Condition profile. Each of these represent the default assumptions HelioScope will use in a new Design or Condition Set. Create a custom Mechanical profile by selecting the Mechanical tab and clicking the “+New” button. Within the Mechanical profile, set all the settings you would find in the Field Segment section of the HelioScope Designer. After saving your Mechanical profile you can move on to create Electrical and Condition profiles. Once you have created the individual profiles want, assign them to a Project Profile by selecting the appropriate configurations in each drop down. Note: this is the most commonly-missed step when creating new Profiles. A Profile can be applied at the Project level, selected when the Project is created. Default values for new Designs and Condition Sets in the Project will be automatically populated based on the parameters of the Project Profile.